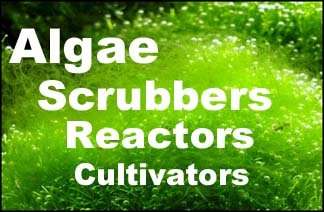 Thread: Algae Scrubber on ULNS? I am debating whether or not to purchase a unit for my Reef tank (65ga). I have always had issues with my reef tank from bleaching corals to little growth and other issues. They have always from the looks of it been related to nutrients. My tank usually with standard bi-weekly water changes has near undetectable nitrate and phosphate when I test. This has been the same for many years. I just have a skimmer on the system and I run carbon. I recently installed an automatic water change system so now my tank does a gallon a day water change. I learned my corals are probably starving after reading many articles online and need more amino acids and vitamins. I started dosing them with Red Sea Energy A+B and that has been my regime as of late. I currently sometimes dose with Red Sea NoPx if the nitrates get more then 5 or so. So my main question is the following. Since my tank appears to act and be very similar to that of a ULNS reef tank would your unit provide little to no benefit? I do sometimes get small algae blooms but they are usually minor. I have got cyano a little in the past as well. I can not seem to raise my nutrients in this tank unless I plan to feed a lot more which I do not have the time (I try to keep everything automated). I believe I need to have some sort of nutrient export but as I mentioned my tank just naturally is a ULNS without me doing much. I am currently also dosing trace elements and I have a Calcium Reactor. I assume maybe my automatic water changes can keep up as well. As I mentioned my corals seem to not always be doing well and I directly relate it to nutrients. I have good flow and the lighting is very good as well. Most of my Acros have the most issues and some of my LPS do but mainly the SPS have problems (they all look brown). Brown sps is usually high nutrients in the water. You have no export except the little water change, so this is expected. And you are remove the coral food with the skimmer and water changes too. Sounds like your tests might not be showing the right levels. If your rock were new I'd say it is absorbing phosphate, but I think you said it is several years old. The nutrients have to be going somewhere. Have you check your topoff tds? What color growth does the glass get? My tank is quite mature. I would say about 7 years old. As for your other questions. When and if I get much algae on the glass it is always green. Whenevrer I feed, dose amino acids, or any food the Neptune system goes into feeding mode for about an hour. During this time the AWC is turned off. My RO water has 0 TDS. I have a 7 stage BRS RODI system 200gpd system. As for testing I use Red Sea Pro Phosphgate and Nitrate. I have not tested in the last couple days but I will again and see where it is at. As I mentioned since the inception on this tank I have always had ULN. I have a few small fish but mainly corals and clams. I was doing NoPx but stopped recently. I have tried a number of things from BioPellets, to Refugium (all the algae would just die), to GFO. I do recall when I was using GFO all the corals started to die. Since removal of the GFO the corals have grown but are pretty much mostly brown. My main question of course is I have an Algae scrubber on my 300 ga FOWLR and that seems to be doing the trick so should I invest in one for my reef. I have only had it on the big tank for about 2 weeks but I did a large water change cause my Nitrates were around 50 PPM. I do have a large bio load. On this smaller tank I wasn't sure if it would end up not providing anything for me seeing as my levels are usually 0 and GFO and Chaeto would just not work for me in the past. Corals feed 24 hours, especially at night. So in effect you removing all their food. All skimmate is coral food. Green growth on the glass does mean low nutrients near the glass. But brown sps means high nutrients near the corals. If you have a lot of rock, which does act like a phosphate sponge in and out, what could be happening is phosphate flowing into the rock during feeding, and then flowing out of the rock and hitting the corals. It's a stretch, but would explain your situation because the phosphate has no place left to go. So your water probably is indeed low nutrient, and a scrubber would take a while to establish, especially with no large feedings to produce ammonia bursts.